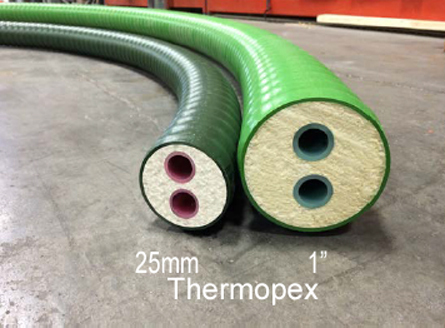 95' roll of 25 mm Thermopex. 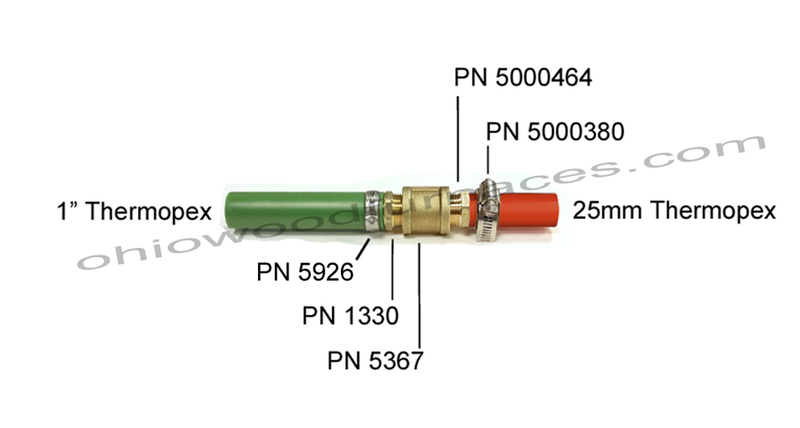 Heat loss less than 1/2°F on 100-ft length. 3/4" ID, 25mm OD of Pex. 3" OD shell. 95 Ft roll weights 72 lbs. 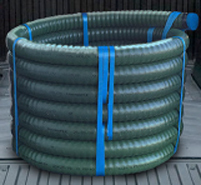 75 feet of the 25mm Thermopex will have about the same flow restriction as 100 feet of the 1" Thermopex. 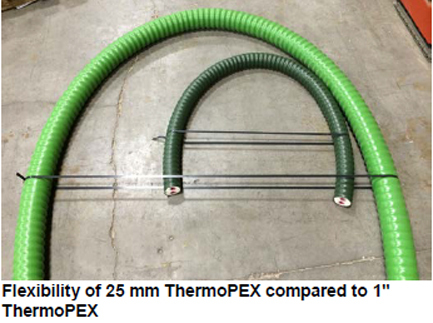 With 60 or 100 feet of the 25mm Thermpopex the flow rates will be adequate for most applications when a single water-to-air exchanger and side arm exchanger is used in the system. 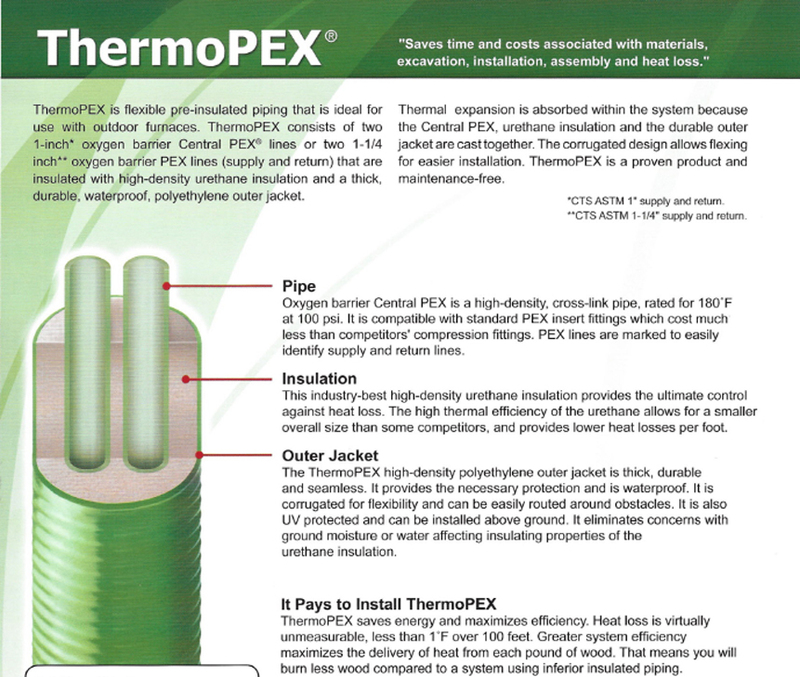 1" Thermopex has a higher insulation value that results in lower heat loss and would be recommended on longer runs. 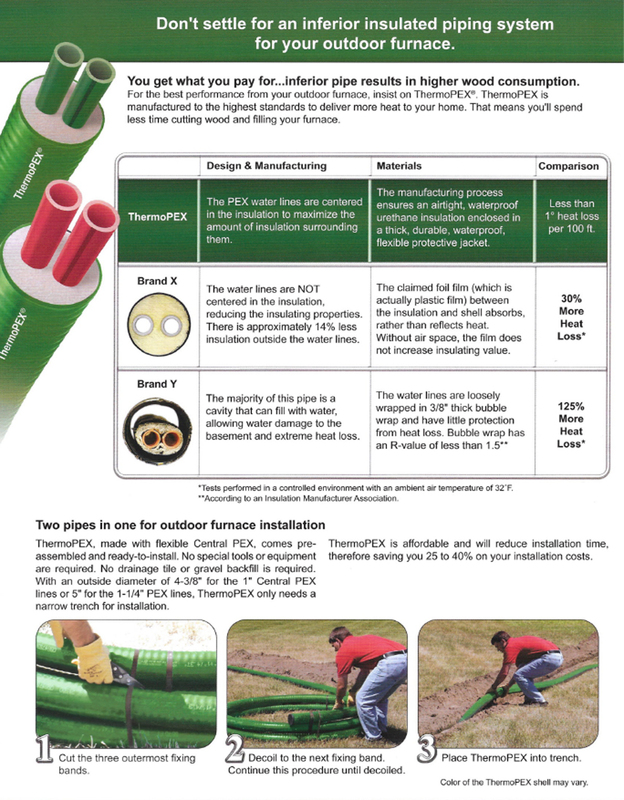 It is recommended continuing to use the same 1" Central Pex for inside the building where insulated Pex is not needed.